The 2-1/2 hour funeral memorial service for Washington Redskins safety Sean Taylor in Florida today was moving and beautiful, as broadcast on NBC4 here in Washington (not quite all of it, more later), and the “in your face” sermon by Taylor’s Adventist pastor brought it to a passionate close. But there are a lot of separate points to make. First, I was shocked that a wound like this proved fatal 24 hours after surgery had started. Had exactly the same wound happened in Iraq and had been treated immediately, I honestly believe military surgeons would have saved him, and I wish they had been available for this kind of wound here. Second, the circumstances of the robbery and shooting are particularly troubling. One could say that had Sean been armed at home (and had immediate access to a weapon) he would be alive today. I have always supported the individual’s right to bear arms to protect himself and family, and I wonder if this will affect the case about the DC law before the Supreme Court, even though it happened in Florida. (Subsequently, at a megachurch in Colorado, a female security guard was able to save lives because she was armed, in another tragic incident Dec. 9). But it is the motive of the intruders, who knew Sean other people close to him, that the public needs to know. It’s easy to throw the book and demand “life without parole” for all four men (there may be more) involved, but that may not be possible in Florida without premeditation of the actual shooting (it is in some states and may be in DC). It’s easy to imagine ideas about greed, envy, resentment and covetousness (some of the “seven deadly sins”). The ideas of Charles Karelis in his book “The Persistence of Poverty” (discussion here. ) may be relevant, although factually we haven’t been told the financial status of the defendants yet. What’s important is to get into the heads of the perpetrators, especially because they knew the victim, had been in his home (apparently) and knew some of his friends and acquaintances, and, presuming they had been involved in the robbery eight days earlier, had behaved in a bizarre manner. We need to know what made them tick at a psychological level. There seems to be an issue of inherited, derived or personal shame, which, as we know from international problems and tragic incidents in schools and malls, can be a dangerous and unacceptable emotion when people can get weapons illegally (or are prodded by others, as overseas, to martyr themselves). The public needs to know this in order to help prevent this kind of crime in all communities with all victims. Right now, we have mostly speculation and theories, but truth may surprise us yet. But it is the character, personal and religious aspect of all of this that strikes me the most. Coach Joe Gibbs has pointed out how Sean Taylor’s life came together once he became a father (Gibbs also attributed this to God, not just to Sean on his own). Of course, it’s much better to become a father after getting married (to the mother), but here it’s the fact that parenthood seem to give him a reason to be a good person that is so striking. That’s not necessary for all men by any means, but it apparently is for some. Early in the service, Joe Gibbs made a simple public prayer for faith in Jesus Christ, but the Adventist sermon at the end really challenged everyone for “not giving God enough time” and for walking away from responsibility for others, leaving people (possibly the suspects) deserted and with no incentive to live productively. In Washington, NBC pre-empted “iVillage” and “Days of our Lives” and apparently DC viewers may not have the opportunity to see the episodes of these shows at all. (WUSA, the CBS affiliate, pre-empted some schedule but WJLA (ABC) did not.) I checked, and there were copies on HD channels, to which I don’t subscribe, and these might have carried the funeral. Major networks need to offer pre-empted programs on other channels on cable networks (or satellite) and let viewers know where they are. Also, NBC4 rudely broke away from the sermon at 2 PM and allowed “Ellen” (which may have more clout”) to start. I watched the rest of the sermon on the NBC4 website, but the station should have told the public its plans. 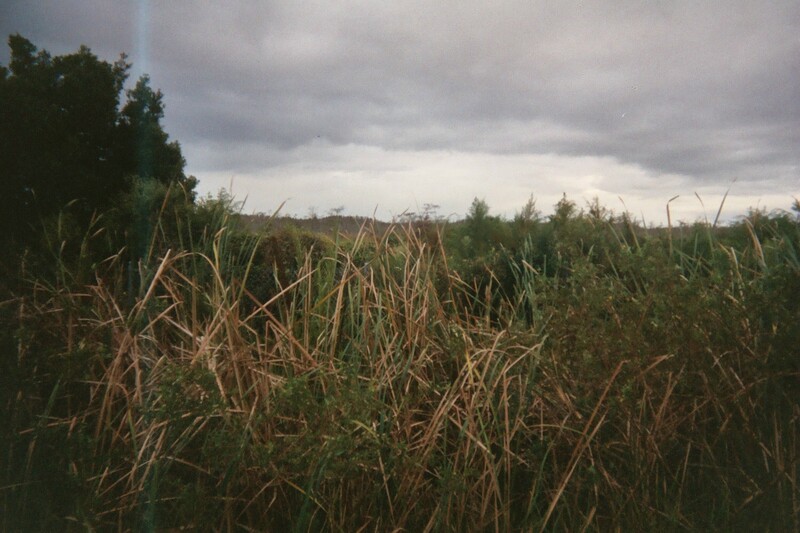 The photo was taken along "Alligator Alley" in the Florida Everglades (Nov 2004). The whole Sean Taylor thing is so disturbing to me. Especially after finding out that the suspects are so young. Another writer over at Highbrid Nation did a nice peice on how some in the media want to blame hip hop for Taylor's death. Which is crazy if you ask me. It'd be nice if we can stop the finger pointing and come up with some real solutions to help our lost youth.